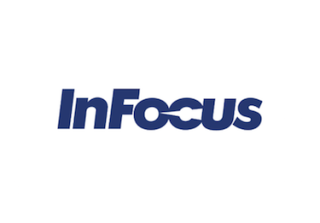 InFocus expanded its executive team last week by naming Brady O. Bruce as chief marketing officer. Bruce, previously vice president of marketing and strategic alliances for Jupiter Systems, which InFocus acquired in October, 2015, will have global responsibility for InFocus corporate communications, marketing programs, branding, product marketing, messaging, and channel marketing. InFocus has embarked on an ambitious growth trajectory beginning with Housley’s appointment as CEO in October 2015. The company is expanding its product range with recently announced and forthcoming company acquisitions. The company’s focus is shifting to emphasize emerging markets such as India, China, Taiwan, Indonesia, and Eastern Europe. While at Jupiter Systems, Bruce developed and launched Canvas, Jupiter’s collaborative visualization suite for the enterprise. Prior to Jupiter, Bruce held leadership positions in UCC, mobile and media technology companies including Promptu, PRISMIQ, NightFire Software, Radius, and VTEL Corp. He holds a Master’s degree in Economics from the University of Texas, Austin.